Philip Miles is the owner of a branch of Goosehead Insurance, located in Whittier, California. Philip and the Goosehead team help their clients find the best possible options at the best price by searching over 20+ top-rated insurance companies. Philip and his team are committed and passionate about finding solutions for all of his customer's insurance needs. Prior to joining Goosehead, Philip spent the last 1.5 year with State Farm as an Agency Owner. Prior to that, he held several executive-level positions in sales, training and recruiting. He brings with him a great understanding of how to meet clients' expectations and a strong desire to protect their biggest assets. The goal of his Goosehead agency is to provide real value by helping educate his customers on the coverages and policies they truly need. Philip was born and raised in southern California. He attended Orange Coast College and transferred to California State - Fullerton where he earned his Bachelors in Business Administration. He obtained his Masters in Business from the University of Phoenix. In his down time, Philip enjoys spending time with his wife of 14 years, Angie, and their two boys, Ethan and Eric, and their daughter, Elyse. It is through Philip's passion for helping others, his honestly, dedication, and tireless work ethic, Philip is the agent that clients want to send their friends, family and business partners, too. 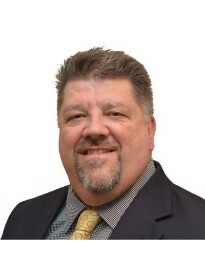 If you're looking for a true insurance professional that puts your needs first, call Philip!